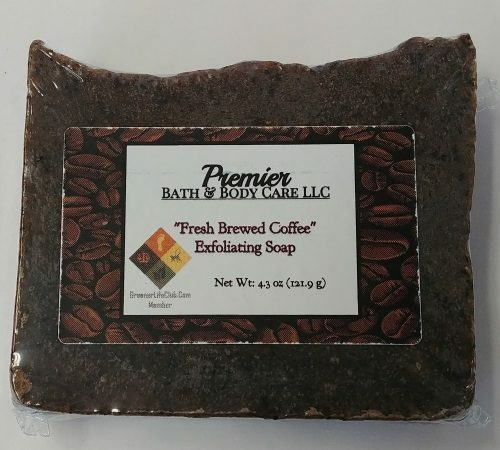 Short Product Description: Our Fresh Brewed Coffee Soap is a Luxurious exfoliating soap that was created with freshly brewed coffee, coffee grounds, and Pumpkin Mocha Latte Fragrance Oil giving you the aroma of a nice hot cup of coffee at it’s finest! 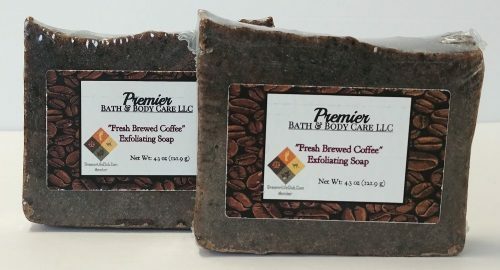 Fresh Brewed Coffee Soap—For those of you who are true coffee lovers, this is the soap for you! 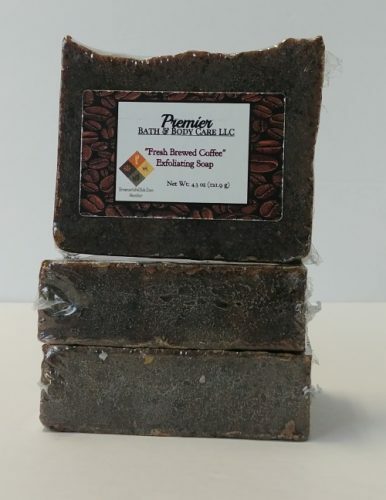 This Luxurious exfoliating soap was created with freshly brewed coffee, coffee grounds, and Pumpkin Mocha Latte Fragrance Oil giving you the aroma of a nice hot cup of coffee at it’s finest! Our coffee bar soap is a great body scrub when you need to exfoliate and a deep clean. 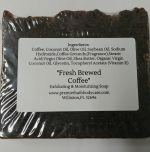 Coffee Benefits: The caffeine of coffee has potent anti-inflammatory properties that make it ideal for reducing inflammation and redness in your skin. 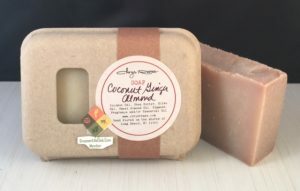 The overall, use of skin care products containing caffeine will reduce and prevent inflammation and redness, leaving you with a beautiful, even skin tone. 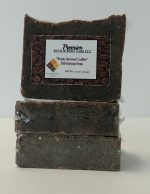 Caffeine can also reduce the appearance of cellulite. Pumpkin Mocha Latte: A warm cup of espresso, cocoa bean, steamed milk and pumpkin spices topped with whipped cream and a touch of rum.